The coverage you want at a price you can afford. Home insurance helps protect you from losses to your home, your belongings, and liability claims against you and your family. Homeowners insurance can cover fires, lightning, theft, wind/hail damage, and more. Home insurance can also cover additional living expenses after a covered loss as well as injuries that occur to others on your property and even lawsuits filed against you. 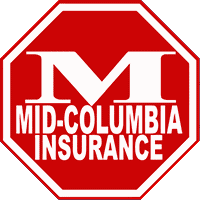 Many optional insurance coverages help protect you. Read more about Home Insurance here. Quick quotes – estimates in person, over the phone, or online. Cheap, cheaper, cheapest – we offer homeowners coverage for every budget. Affordable rates – the coverage you want at a price you can afford. Multiple companies – as a broker, we offer policies from multiple preferred companies including Safeco, Foremost & Progressive. renters – if your home is an apartment or a house we can cover your stuff. Reviews – check out our online reviews to see what our clients think.